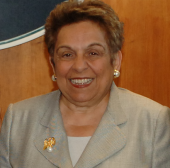 Donna Shalala was the first woman to head a Big Ten university and the longest-serving secretary of the U.S. Department of Health and Human Services. Kathryn "Kate" Morrison was the first woman elected to the Wisconsin State Senate. Carin Clauss was the first woman Solicitor in the U.S. Department of Labor. 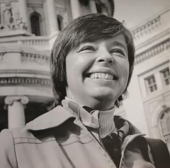 Ada Deer was the first woman to head the U.S. Bureau of Indian Affairs and the first Native American woman from Wisconsin to run for U.S. Congress.